In a first of its kind victory, researchers from the Case Western Reserve University (CWRU) School of Medicine and six other institutions have inhibited the spread of cancer cells from one part of the body to another. To accomplish this feat, the team relied on a novel epigenetic model of how cancer metastasizes. Epigenetics is the master program which turns genes on and off. The group included researchers from the National Cancer Institute (NCI) and the Cleveland Clinic. The researchers published their results in the journal Nature Medicine. The team used novel epigenetic-centered techniques to halt the spread of bone cancer to the lungs of mice. The vast majority of deaths that come from bone cancer are due to the disease spreading to the lungs; a process referred to as metastasis. Most cases of bone cancer occur in young people, typically between the ages of 10 and 30. Teenagers are the most frequently affected age group. The outlook for patients with bone cancer, known as osteosarcoma, has not improved in more than 3 decades. There are no approved targeted anti-metastatic treatments for the disease in widespread clinical use. The CWRU School of Medicine focus on epigenetics represents a break with the mainstream view that genetic mutations are the primary driver of tumor metastases. The epigenetic program is the master of our genetic code, in that it controls how genes are turned on or off. Additionally, the team’s focus on the role of epigenetics in cancer also represents a departure from mainstream cancer research. Mainstream researchers are not so much interested in metastasis. Instead, they tend to focus on the early stages of the disease and are concerned with how tumors form and what distinguishes cancer cells from normal one. Moreover, most cancer drugs and treatments today are intended to kill primary tumors, not the cancer cells that have spread elsewhere. Gene enhancers are short snippets of DNA that, when bound by specialized proteins called transcription factors, operate much like switches to activate genes. This process is essential for healthy development; For example, it is relied upon when the fertilized egg develops into the different cell types which make up the body. Each cell has tens of thousands of gene enhancers, exceeding the number of genes themselves. Not only do they switch the genes on and off they can act very much like a volume knob, gradually controlling the expression of a gene. Even though all cells have the same DNA, the on and off settings determines a cell’s role – a certain group of switch settings yield a heart cell, while another set produces lung tissue. However, faulty enhancer regulation contributes to the growth of tumors and their subsequent spread. Moreover, different cancers are distinguishable by different enhancer patterns. 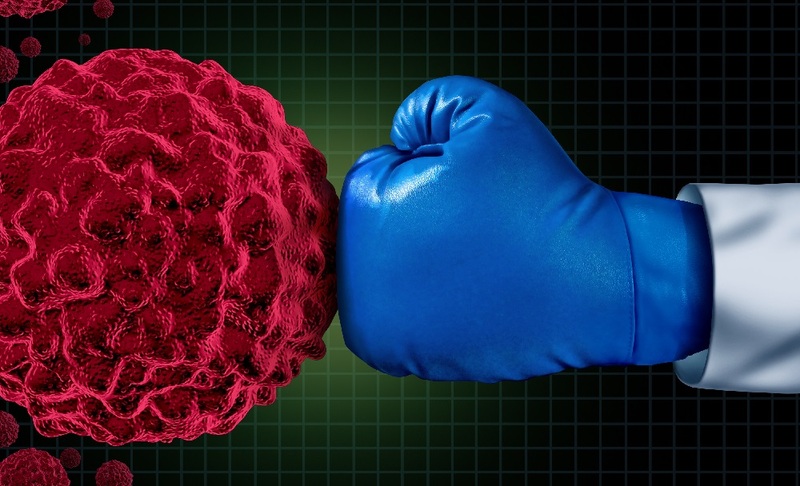 The authors of the new study showed that the on-off switches of cancer cells that have metastasized are in different positions than in the cells of the source tumor. The CWRU-led team used epigenomic profiling experiments to identify bunched clusters of gene enhancers, called metastatic variant enhancer loci (Met-VELs). The scientists found Met-VELS near cancer genes in the lung metastases of patients with bone cancer, indicating they were essential to the metastatic process. Using lab mice, the researchers then showed that they could inhibit the growth of bone cancer cells in the lung using BET inhibitors. These inhibitors are currently being tested in clinical trials as anti-cancer drugs, and broadly inhibit Met-VELs in driving gene expression. CAR T cell therapy to treat lymphoma shows promise in cancer treatment. “Researchers inhibit cancer metastases via novel steps.” Case Western Reserve University. February 12, 2018. Link to the press release in MedicalXpress. James J Morrow et al., “Positively selected enhancer elements endow osteosarcoma cells with metastatic competence.” Nature Medicine (2018). DOI: 10.1038/nm.4475. Link to article in Nature Medicine.